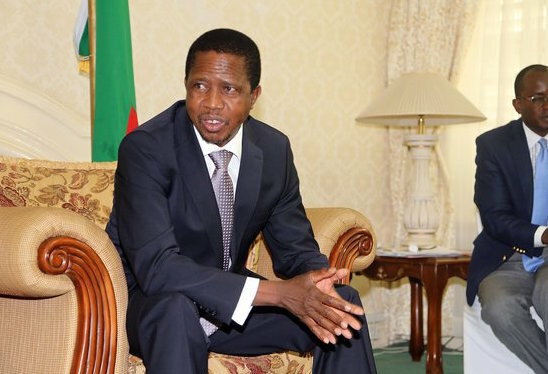 "President Lungu signed the constitution without reading it"
Please air my concerns over the Zambian constitution. The current constitution started by Levy Patrick Mwanawansa in 2002 and signed by Edgar Lungu in 2016. The current constitution took 14 years to be concluded. Many stakeholders participated in the process except PF and Michael Sata. Michael expelled 25 MPs who wanted to take part into National assembly over the constitution. UPND participated together with MMD and other stakeholders. MMD took the constitution bill to parliament for approval. UPND voted against the constitution bill after realized that there was no 50+1 clause in a bill and the running mate. In 2011 Michael Sata came into power and stakeholders pushed the new proposed constitution to be signed to a constitution, but Michael and Kabimba drugged down the new proposed constitution. But why Michael and Kabimba drugged down the constitution? The answer is simple, because PF was not part and parcel of the people who drafted the constitution. And PF was not even aware of the clauses in the proposed constitution. When Edgar came into power, he wanted to praise the Zambian people by signing a proposed constitution into constitution without reading and understanding the new constitution. Godfrey Miyanda reminded Edgar not to sign it. After a month of signing the constitution. PF started denouncing the constitution when discovered that there a some clauses which affect there political party such as Grade 12 clause, handing of power to speaker if petition lodged and others. Now we are told that Constitution bill will be tabled in June to amend the constitution. When will Zambia come up with a good constitution? Every government wants to come up with its constitution that fervours the current government. Is the constitution made for politicians? Comment: Why the sympathy for M’membe and the Mast Newspaper? Let them, hold on to it. Koswe signed it and it will chop his head off! You cried for the Constitution to be released, he released it, he did not need to read it. Why was Gen. Miyanda, a man who sat with others to draw the Constitution asking the President not to sign it? That is hypocrisy. Fact is Zambians never listen if someone says they have a concern with the supreme law of the land. There is an illusion that if the majority back something then it is fair and right. This is not true all the time as there are exceptions. For example, the majority of white Americans did not support civil rights for blacks in America in the 1960s but Congress passed the law that gave blacks civil rights despite the protestations of the majority of citizens. Even the majority have no right to dictate. The Problem arev the lacunas that were introduced by Simbyakula and the team. They wanted to a constitution to favour PF, which unfortunately worked against them. Next time everyone sould agree on the content of the constitution. This idea of parties altering what has been agreed upon must stop. This Constitution was ok unitl PF tempered with it.